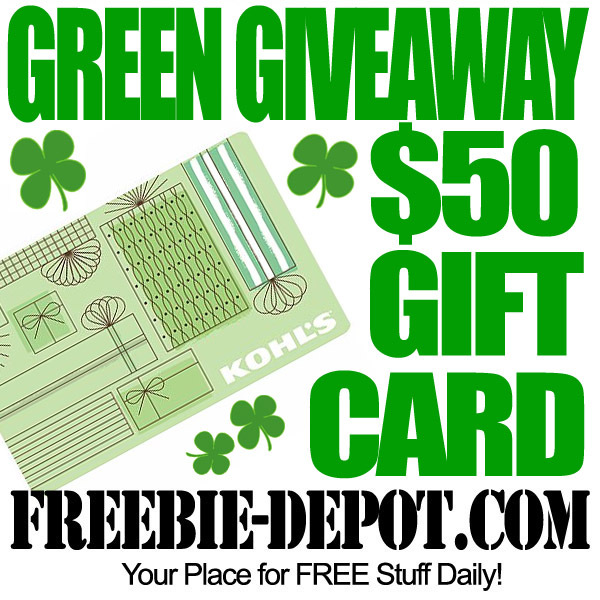 GREEN GIVEAWAY – $50 Kohl’s Gift Card! Enter the GREEN GIVEAWAY! ♣ You could win some green, the FREE $50 Kohl’s Gift Card! Of course, you should share and pin the FREE St. Patrick’s Day Stuff listing. ♣ But you can also enter multiple times in multiple ways as described. ♣ You can Pin, Like, Comment, Subscribe, Tweet and Follow to get entries! Giveaway is open through 3/17/13 (naturally) and the winner will be selected and notified by email after the entry period ends. Enter Below. ♣ You will need to sign in with Facebook or your email to enter. While your at it check out the ♣ FREE St. Patrick’s Day Stuff ♣!